If you DIY your own coasters, they won't only keep your wood furniture safe from water rings, but they can also express a little bit of your personality. Here's how. In bars and restaurants, drink coasters often bear the logos and slogans of popular beverage brands. At home, DIY coasters are equally communicative, but rather than promote businesses, they show off your individuality and personal sense of style. No matter what you care about most—nature, travel, literature, or something else entirely—it’s easier than you thought to channel your passion into a set of DIY coasters. Scroll down now to see five favorite examples from around the Web. 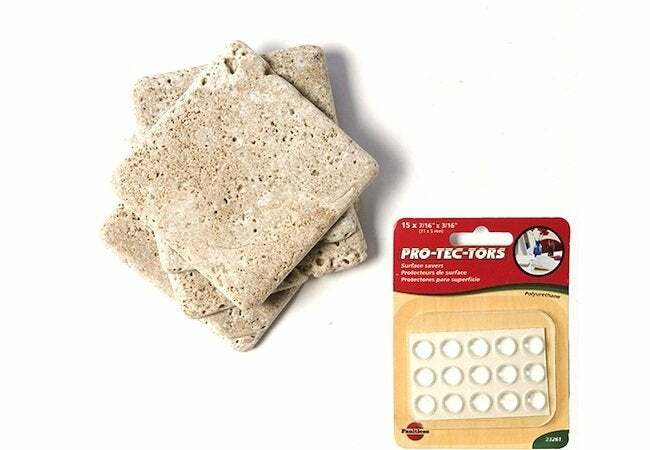 These stone border tiles turned DIY coasters are an earthy accent sure to draw attention whether in a modern or traditional living space. Tara Dennis explains how to make them. It’s quick and super simple: Apply a coat of clear varnish to the tops of the tiles, and to protect your furniture from scratches, put surface savers on the bottoms. 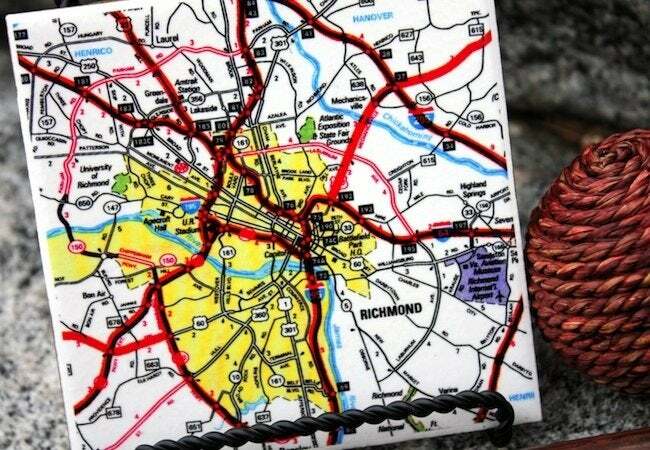 Working with cutouts from road maps or an old atlas, or even Internet printouts, you can use decoupage to transform ceramic or porcelain tiles into DIY coasters that celebrate your favorite travel destinations, neighborhoods where you’ve lived, or your hometown. Visit The Country Cottage for the easy step-by-step tutorial. Looking for a gift to give a person who’s always playing word games? 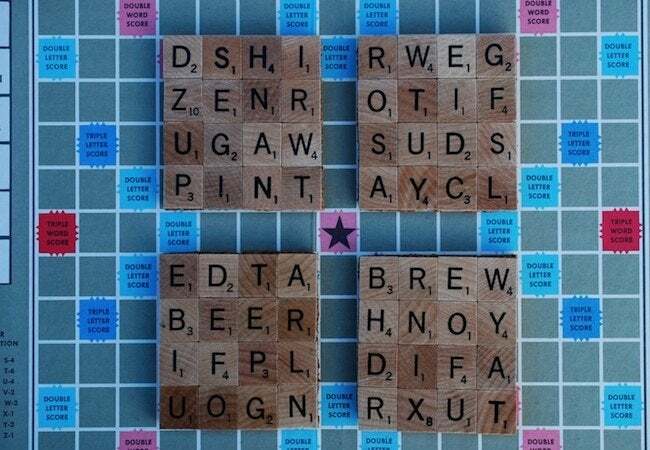 Why not repurpose that old Scrabble set gathering dust in your attic? Domestic for Dummies shows how it’s done. All you need are hot glue and a sheet of thin cork. Probably the hardest part is choosing the words to spell out on the squares. 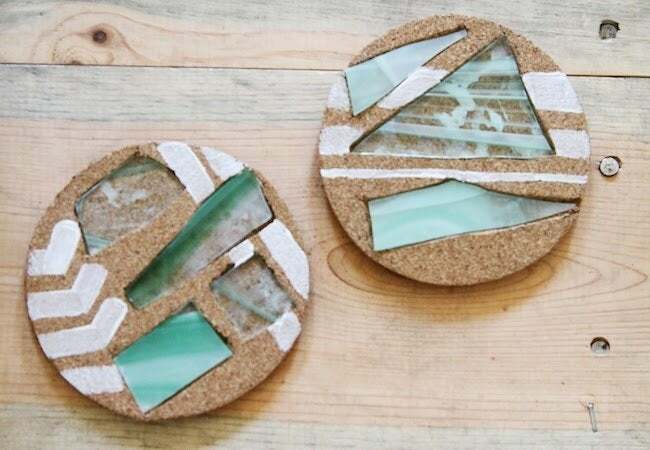 Devote part of your sea glass collection to creating these perky, refreshing DIY coasters. First, place an arrangement of glass onto square or circular cork coasters. Next, trace the outline of each piece of glass. Finally, cut out the shapes you’ve drawn and glue the glass into the slots you’ve made. Sincerely Kinsey explains it all. 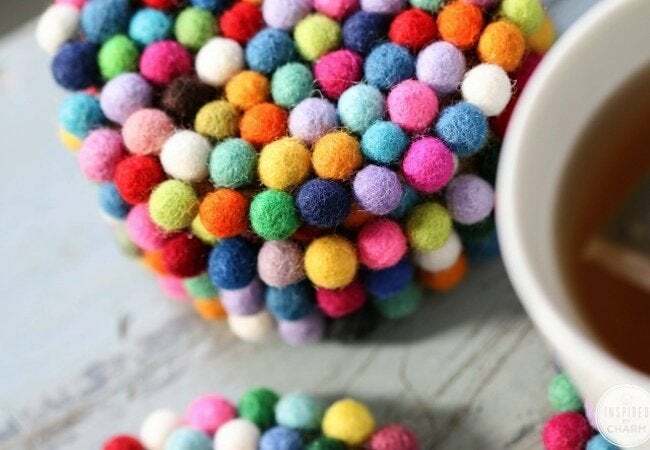 Bright and colorful, these DIY coasters are made of wool felt balls that you can purchase either online or in your local craft store. Simply glue the balls on top of cork coasters. Better yet, if you are skilled with a needle and thread, you can sew the balls together in a circular pattern. Want details? Check out Inspired by Charm.